There’s nothing quite so exciting for a cinema lover as following the biggest festivals in the film world. And while Cannes may be the most glamorous, Berlin the coolest and Venice the most sophisticated, there’s something particularly thrilling about the indie festival that takes place every January in Utah: Sundance. The largest independent film festival in the United States and in many ways a refreshing alternative to the film culture of Hollywood, Sundance is not only fascinating for hearing about new films, but for tracking which indie films get picked up by distributors for release in the year to come. Indeed, only a few days ago, the largest deal in Sundance history was made for the highly-anticipated Nate Parker film about the 1831 slave rebellion run by Nat Turner, Birth of a Nation (and no, that title is not coincidental). And of course, you can always follow Sundance on Twitter. Which titles from Sundance are you looking forward to seeing the most? 1. Birth of a Nation via Screen Daily. 2. Jacqueline (Argentine) via Indiewire. 3. All These Sleepless Nights via The Guardian. 4. 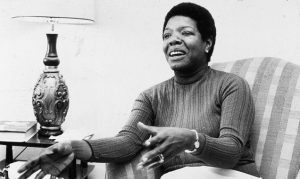 Maya Angelou and Still I Rise via Screen Daily. 5. Spa Night via The Hollywood Reporter. 6. Love and Friendship via Slash. 8. Under the Gun via BBC Culture.